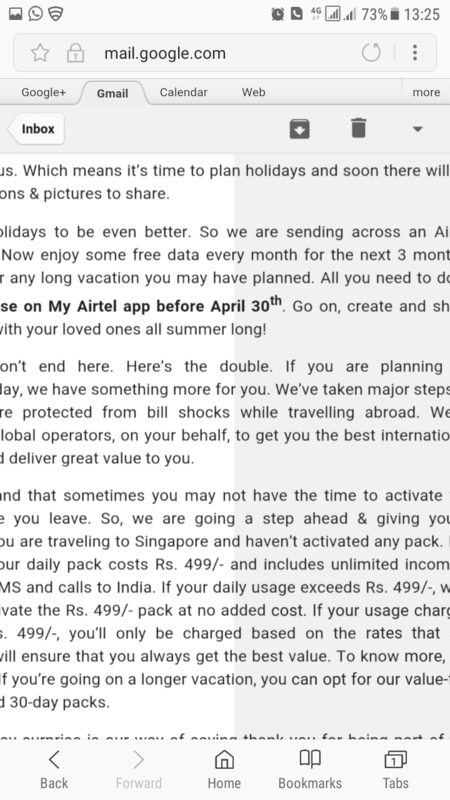 Bharti Airtel has started sending out emails to its loyal customers saying that it will offer free data for one more month via the MyAirtel app to make its customers holidays even better. Back in March, Airtel offered free data to all its postpaid customers to celebrate the India’s fastest network label given by Ookla. 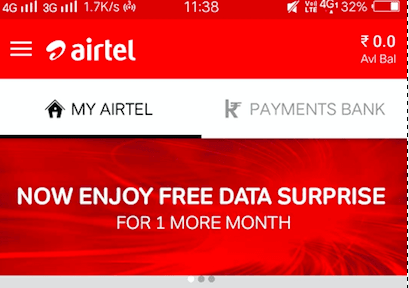 With this addition, Airtel is now offering free data for four months. Do make a note that the offer can only be redeemed from MyAirtel app. A banner is also visible for the postpaid customers asking to claim the data, however, when we press the banner, it redirects to the home page. For example, imagine you’re travelling to Singapore and haven’t activated any roaming pack. If your data usage exceeds the Rs. 499 pack value, then Airtel will automatically add the Rs. 499 pack at no extra cost. Speaking of which, Airtel’s new daily pack costs Rs. 499 and provides unlimited incoming calls, free data, SMS, and outgoing calls to India. Furthermore, if your usage is below the Rs. 499 plan, you will be charged based on the standard rates that are applicable. 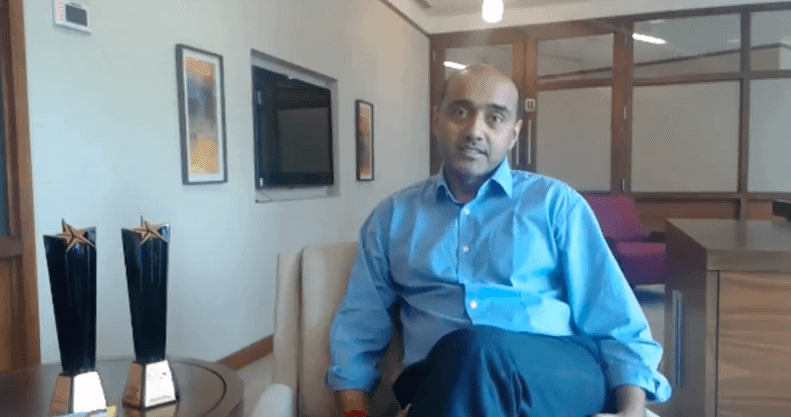 Airtel is offering huge benefits for the prepaid users of various proportions, and with this free data extension, they are looking to offer equal benefits for both the prepaid and postpaid customers. just that it was hell of a lot expensive due to cartelisation !